Carlsberg is running “Test Your Friends” an interactive campaign centred around a Facebook app and a television commercial. A phone call in the middle of the night: your best friend is in trouble. Would you go out and help him? 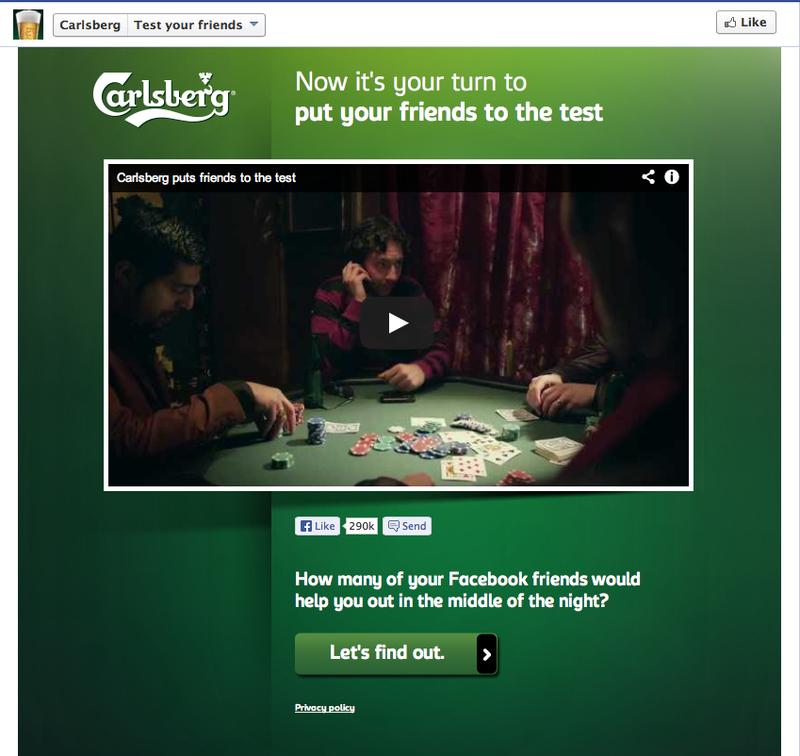 Carlsberg tests some friendships. What would your friends do? Are they true mates? Do the test here: on.fb.me/Zm6MOI That calls for a Carlsberg! The Friends Test campaign was developed at Duval Guillaume by creative directors Geoffrey Hantson and Katrien Bottez, art director Koenraad Lefever, copywriter Dries de Wilde, agency producer Marc Van Buggenhout, digital strategic director Kris Hoet, conversation manager Maarten Van Herck, account director Elke Janssens, account manager Bart Verschueren, working with Carlsberg marketing team Thomas Lohren Busch, Jens Jermiin and Thomas Moradpour. Filming was shot by director Cecilia Verheyden via Monodot with executive producer Tatiana Pierre, producers Bo De Group and Charlotte Cotman, director of photography Pieter van Alphen, post-production manager Frauke Dierickx, editor Joris Vanden Berk. Post production was done at Grid Brussels. Sound was produced at Sonicville.